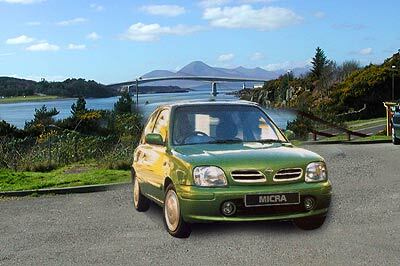 Skye car hire is happy to supply vehicles for your business or domestic use from our offices adjacent to the Skye Bridge in Kyle of Lochalsh. CORPORATE / BUSINESS / COMMERCIAL: please call now! We also have seasonal price deals on most vehicles - please call. Credit card details and a £45 deposit are required to confirm your booking. end date and security number. Driver age limits are 23 to 74. There is a £45 charge for cancellation up to fourteen days before date of hire.